Automation is a part of social media today. They can help locate, aggregate and share interesting content. They can also be used to spread spam and malicious links. Try any popular hashtag and it is quite likely a bot will retweet you. Some of these bots have lots of followers – potentially reaching a lot of possible fraud victims. 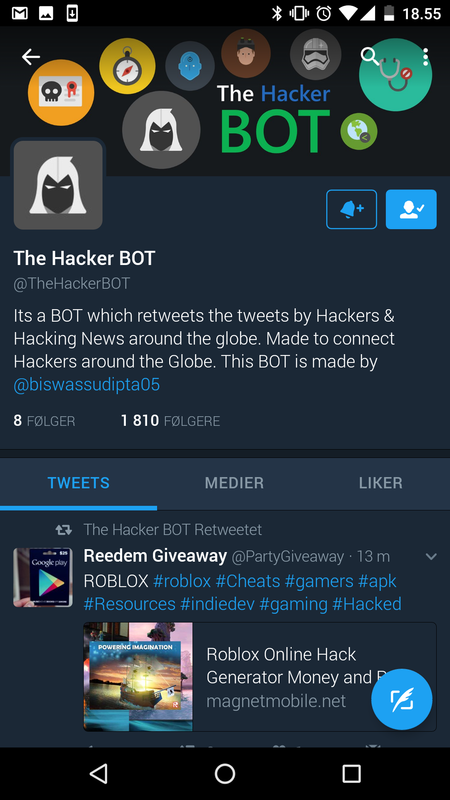 Here’s one example; the Twitter account @thehackerbot intends to retweet hacker news. Be of its triggers is the hashtag #hacked. It does retweet a lot of hacker news. But then we also have this.. So, if you want to create a retweet bot, it is a great opportunity to work on your machine learning and AI skills – teach your bot to filter out spam.